Stay up to date on which product features are rolling out next to prepare for your next campaign. Get the status updates you need to build content, product releases, and campaigns. 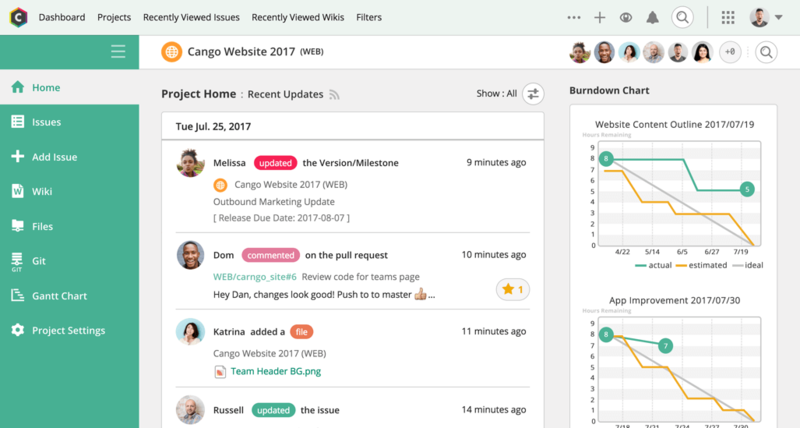 Backlog helps you follow progress across multiple teams—all in one place. Work with engineers to create websites, emails, landing pages, and more. Use Backlog to track everyone's workload so you can set realistic due dates. Keep everyone in the loop for your next product release. Coordinate with development, design, and management teams to pull everything together for launches. Improve communication with product teams to get work done and promote releases. Backlog makes it easy to submit product and website requests to development. 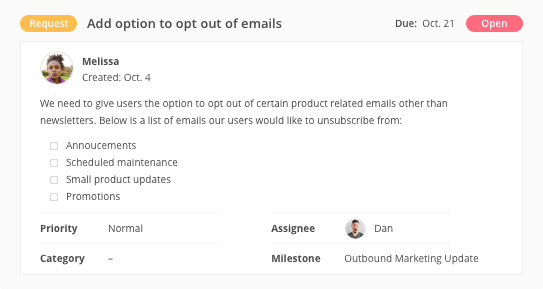 Track progress while managing work requests from other teams such as reviewing copy, writing product blogs, sending emails, and more. Plan your next marketing campaign around an upcoming product release. Collaborate with research, product, and development teams to create a compelling story that produces more leads and higher conversion rates. Keep related project information together with centrally located file folders. Notify specific team members when something requires their attention. Send quick status updates to reduce the number of emails and meetings. Sync your calendars with project milestones to keep track of deadlines. Visualize your timeline for a quick, big-picture view of your entire project. Differentiate phases within projects to keep important goals on schedule.